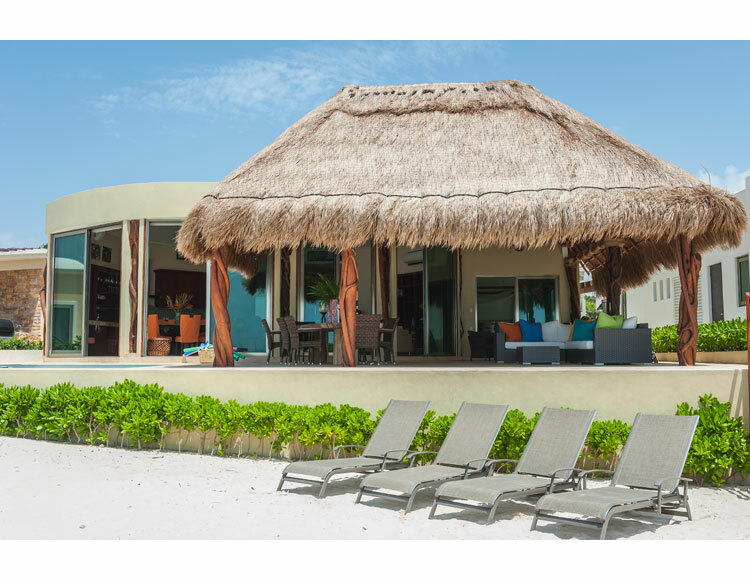 After vacationing for many years in Playa del Carmen, Katie's clients decided to build their own beach house, called Casa Mayetta. 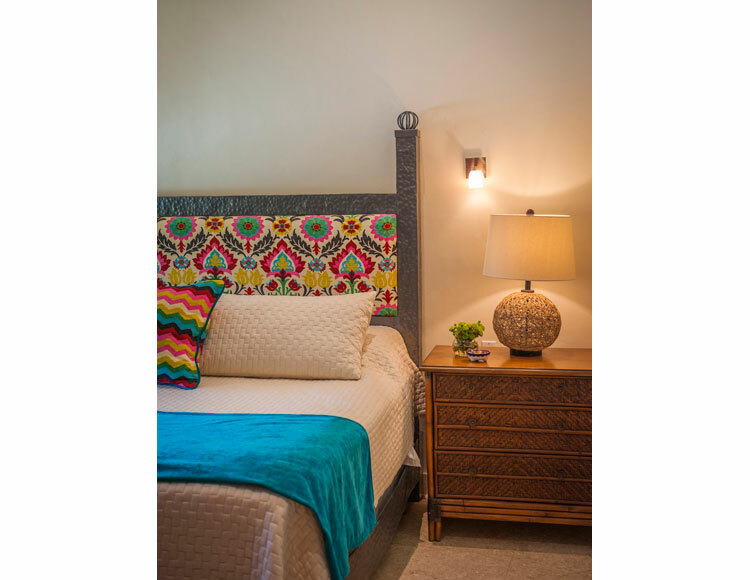 Working in close collaboration with the architect and builder in Mexico, Katie envisioned a colorful, laid-back tropical getaway that opened on to the beach with plenty of room for cooking and entertaining family and friends. She and her clients made numerous trips to Playa to select colors, finishes, and materials and hunt for antiques, art, and accessories in the local markets. Casa Mayetta also features many of Katie's own custom furniture designs, including a dramatic center island carved from onyx, a stunning dining room table made from an indigenous root, charming wooden and metal beds and other pieces crafted by local artisans.